Distro is short for DISTRIBUTION. Distro Print will print your posters and stick them up outdoor on the streets in high traffic areas in frames, on walls or on bollards. We also distribute your posters nationwide indoor in cafes, restaurants, retail etc. See our distribution locations. 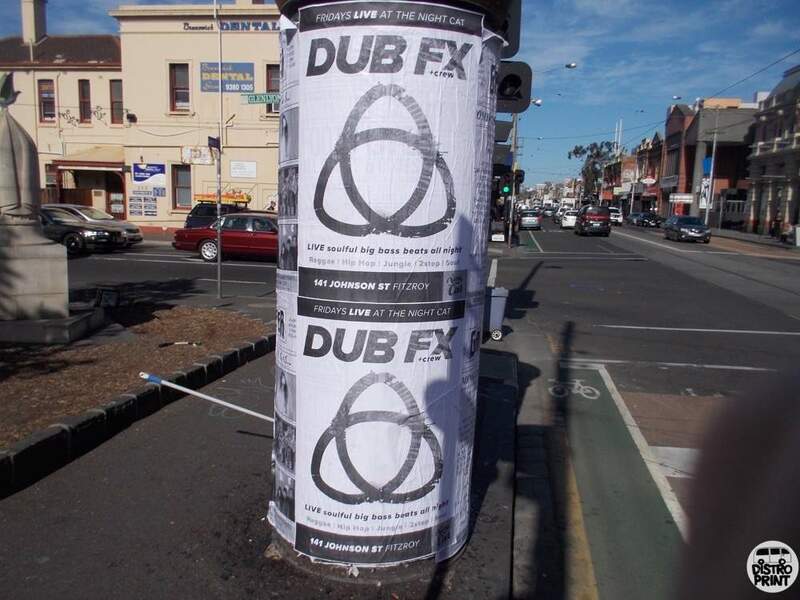 Poster distribution is a highly effective and affordable guerilla style marketing method to reach a target demographic and advertise and promote your event, product or service. Sometimes referred to as rock posters or two sheeters, Distro Print heads out and sticks your posters up in the largest network of outdoor poster real estate in the country. Outdoor street poster distribution size options: Rock Posters or Two Sheeters, A0 Posters or Pole Posters.